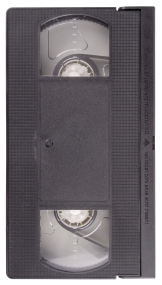 1993 VHS from JJ Keller, Length 15 Min. The ability to recognize hazards varies from driver to driver according to their attitudes and visual and mental alertness. In this 15-minute VHS video, professional drivers and training instructors discuss ways for your drivers to improve their ability to perceive hazards and handle them correctly. Includes: decision and defensive driving techniques, sensing and managing hazard situations, accident avoidance through vehicle maintenance, proper vehicle spacing in traffic.